The origins of the Russian musical tradition go back to the folk music of the east Slav tribes. Following Russia’s conversion to Orthodox Christianity (988), it developed further through Orthodox Church liturgy that was Byzantine in origin. Both forms placed great emphasis on choir singing, and Russian church music rapidly assumed native Russian characteristics evolving a distinct type of Eastern Orthodox hymn singing. In the 16th and 17th centuries, strong secular influences on Russian music began to manifest themselves, with everyday and lyrical songs receiving special development. During the reign of Peter the Great, music acquired special significance within court circles in imitation of those in Western Europe, and soon Italian opera could be heard in both St. Petersburg and Moscow. These events greatly helped the development of native musicians. In the late 18th century the Russian national school of music composition was born thanks to the creative efforts of the composers Vasily Pashkevich, Yevstignei Fomin, Alexei Verstovsky, Dmitry Bortnyansky, and Maxim Berezovsky. By the end of that century a Russian national opera had come into existence, and concerts of music composed by Russians were regularly per­formed. In 1783, the Mariinsky Theater in St. Petersburg was opened. 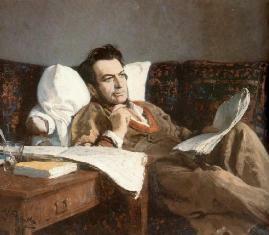 In the first half of the 19th century Mikhail Glinka opened a new chapter in the history of Russian music. He is considered to be founder of modern Russian classical music, whose work provided a powerful impetus to the development of national music. His operas A Life for the Tsar and Ruslan and Lyudmila still enjoy worldwide popularity. In 1802 the Philharmonic Society was organized in St. Petersburg, and the Bolshoi Theater was opened in Moscow in 1825.